Learn how to incorporate bounces and phantom mounts into your braintwister combos. Phantom Mounts and Bounces: Vol. 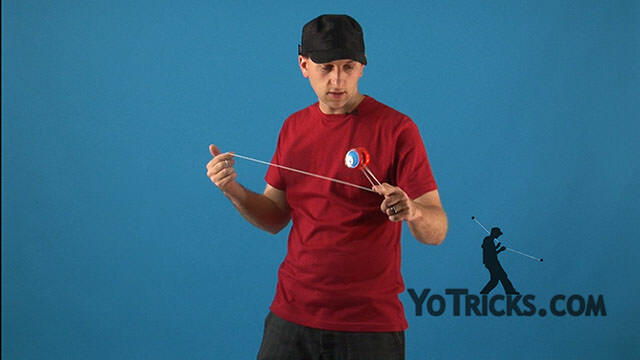 3 Braintwister Combo Series Yoyo TrickThis is the third video in the braintwister combo series. In this video, I am going to be teaching you about Bounces and how to get into Phantom Mounts. Bounces are a good way to change the direction that the yoyo is moving within a mount, without breaking up the flow of your combo. This is most easily seen in the front mount, going into a double on. Instead of going double on like you normally would, you can bounce off of the top string. 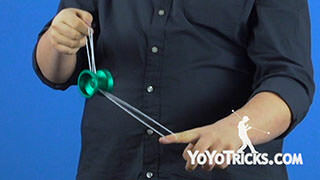 This will change the direction that the yoyo is moving so that you can change up your combo a bit. You will want to make sure that the string coming off of your throwhand is tight. 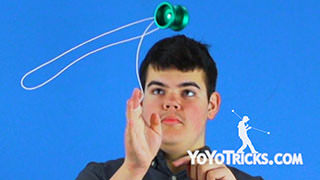 Or else, the yoyo will not bounce and it will mount like normal. Most bounces are pretty easy to discover on your own. You can do a bounce anywhere that you would normally mount the yoyo. We will be showing you a few different variations of this in the stacking section of this video. On the other hand, Phantom mounts are a little bit more tricky. A Phantom Mount is not one particular mount, it is more of a concept that you can use as an alternative way to dismount. Now, do not get spooked. This is not as scary as it looks. 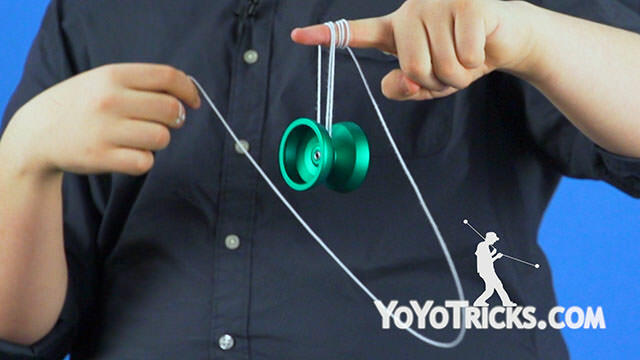 While it may seem that the yoyo is mysteriously passing through the strings, it is actually mounted in such a way that when you drop the correct string, the yoyo drops through the mount. The reason that this works is that the yoyo is both in the front mount and its inverse at the same time, which allows the strings to cancel each other out. To get into this phantom mount, what you are going to do is land your front mount. From here, you are going to place your thumb on the top string. Then you are going to roll the yoyo back onto that string. Now you are in a phantom mount. From here, you can drop the string off of your thumb, which will drop the yoyo through the mount. Alternatively, you can also release the string from your index finger, which will land you in a top mount over your thumb. Now, bounces do not really stack in the traditional sense. 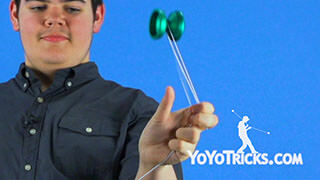 Like I mentioned earlier in this video, you can perform a bounce anywhere that you would normally mount the yoyo. For example, while you are performing rolling, you can actually bounce off of this top string. 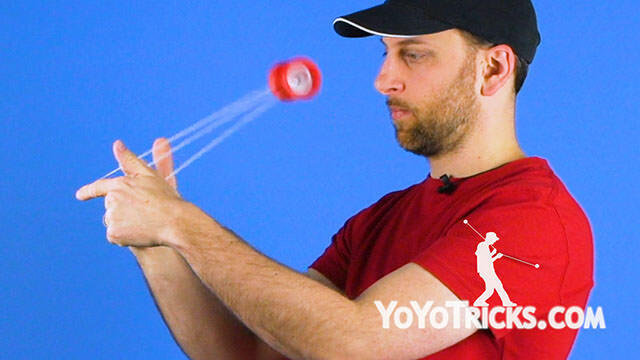 This will change the direction of the yoyo and allow you to go instantly into unrolling. 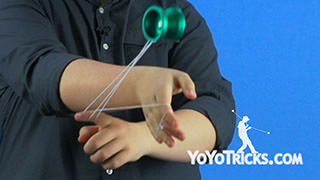 You will notice that this has much better flow than just stopping the yoyo to perform unrolling. You can also use the reverse momentum of this to go right into your phantom mount. On the other hand, there is Wave Rider. There is a lot of different opportunities here for bounces. While doing wave rider normally, instead of throwing the yoyo back to the front right away, you can actually bounce off of this mount. This is similar to the double on variation that we taught you in our previous video. You will notice that you can actually perform this bounce on the outside variation of wave rider too. From here, you can actually curl your fingers in, which will allow you to bounce from the top to the bottom string. You can perform this as many times as you would like. If you are having a little bit of trouble with this, we recommend pinching with your thumb. 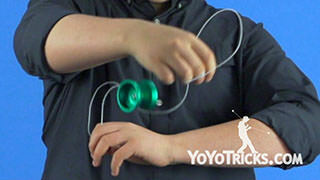 This will make it a little bit easier for you to control the yoyo. From here, you can actually land the yoyo on the top string. You will notice that this is a phantom mount because the yoyo is both in this outside wave rider mount, and its inverse at the same time. From here, there is a few different ways that you can dismount this. There is the standard dismount where you just release the strings from your fingers. You can also add a little bit more flare by performing what we call the bounce dismount. What you are going to do is swing the yoyo up and as you swing the yoyo up, you are going to release the strings from your throwhand. 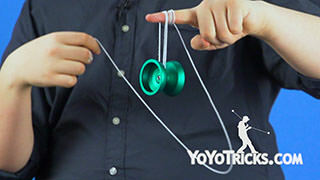 This will create the illusion that the yoyo is bouncing off of the string. There is also a pretty cool dismount that we like to call the throw through dismount, which makes it look like the yoyo is being thrown through the string. To perform this one, you are going to land on your phantom mount. From here you are going to swing off. This will put you back in this outside wave rider mount. From here you are going to swing the yoyo back onto the mount but instead of landing you are going to release the strings from your fingers as soon as the yoyo hits the string. 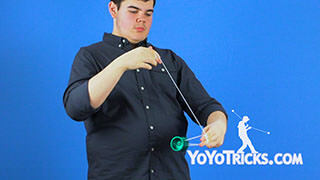 This will create the illusion that the yoyo is being thrown through the strings. Now, just note that you can actually perform these on the phantom mount that we mentioned earlier in this video too. There is the bounce dismount and you can also perform this throw through dismount. So, keep practicing, explore these concepts, start stacking them with elements that you have learned in our other videos, and you are even closer to creating the ultimate braintwister combo.